Was it the right decision from Wenger to start the Colombian over the Arsenal no. 1? Arsene Wenger has chosen to start David Ospina and drop Wojciech Szczesny in Arsenal’s Premier League game with Stoke City at the Emirates. Szczesny has yet to play for the Gunners since his supposed post-Southampton cigarette in the showers on New Years Day, which he was reported to receive a £20,000 fine for. But Arsenal face a Potters team with some tall and dominant attacking players with an inexperienced Premier League player and relatively small keeper in David Ospina. Just got to ground – shocked by Szczesny being dropped. Whatever AW says, this is a disciplinary decision. V risky to throw Ospina in today. Ospina will start a few games, then when he makes a mistake will get dropped for Szczesny and Szczesny will be quality for a few months. Biggest call about the Szczesny/Ospina decision is that it’s not like Ospina has an easy introduction. City next week, no room for errors. 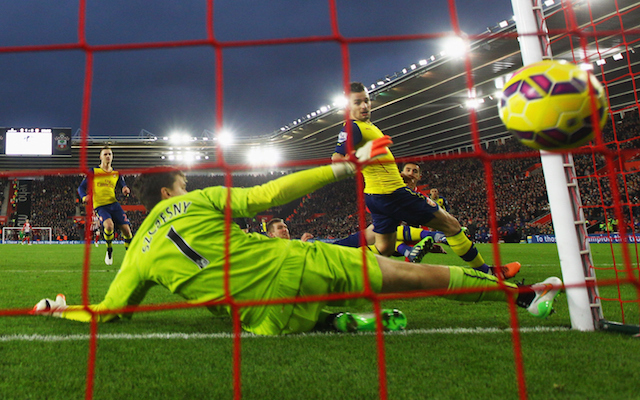 Last time we played Stoke the myth of Martinez being better than Szczesny was destroyed. Won’t be surprised if the same happens for Ospina. Good on Wenger for picking Ospina over Szczesny. #AFC have a good backup GK for a reason, so bloody well use him.